The TP-46 features a time tested design that is both simple to operate and to maintain. This planter has proven itself as a true "work horse." 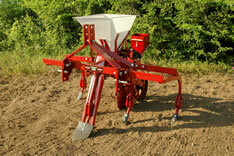 The TP-46 is available with or without the cotton planting attachment. 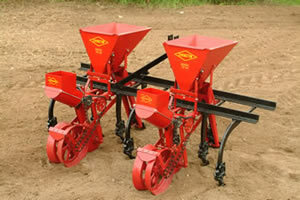 For planting all other seeds three optional grain attachments are available.